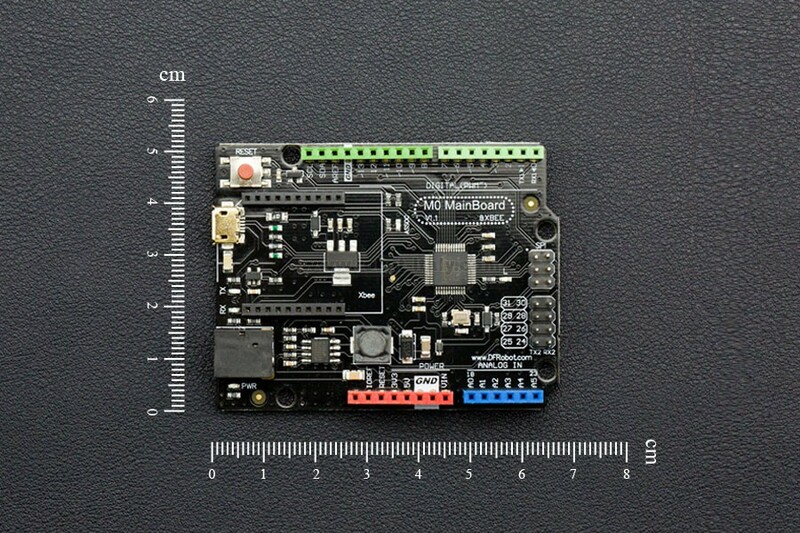 DFRduino M0 is the first 32-bit Arduino microcontroller based on ARM Cortex-M0 core that supports 5V logic. If you use a standard UNO-compatible microcontroller in a project, do you ever find that GPIO and processing performance is underwhelming? Upgrading to a Mega style microcontroller is too expensive, and Arduino ZERO/M0 doesn’t support 5V logic. 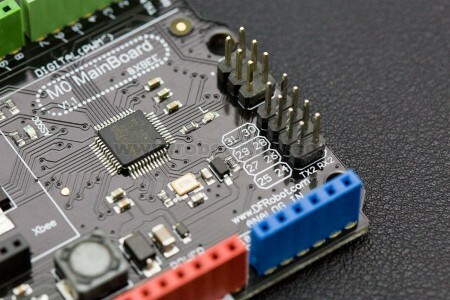 These problems are solved with the DFRduino M0. 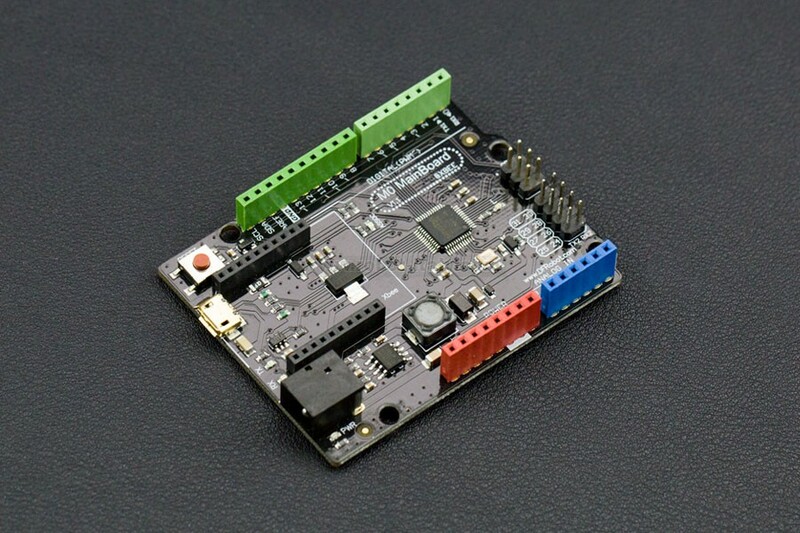 The DFRduino M0 uses a Nuvoton high-performance 32-bit microcontroller as the processing core with integrated ARM Cortex M0 architecture, supports 5V logic, includes a USB port and two hardware serial ports with 31 digital pins (partial multiplexing) and 6 analog pins. 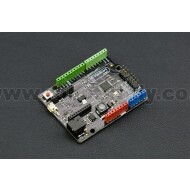 It is compatible with Arduino Leonardo pin mappings and has more I/O resources and more powerful processing capacity. 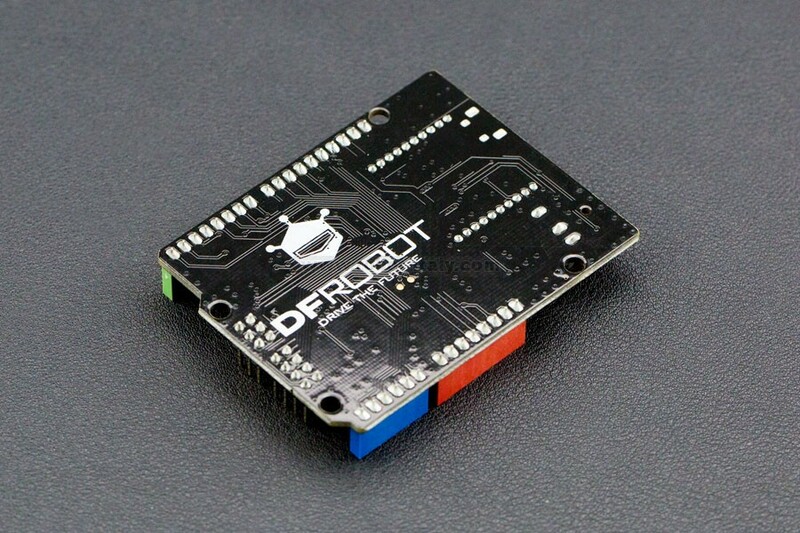 In addition,, the DFRduino M0 extended features an IIS interface to support playback of wav files. With a professional IIS chip, you can enjoy HiFi audio experience. 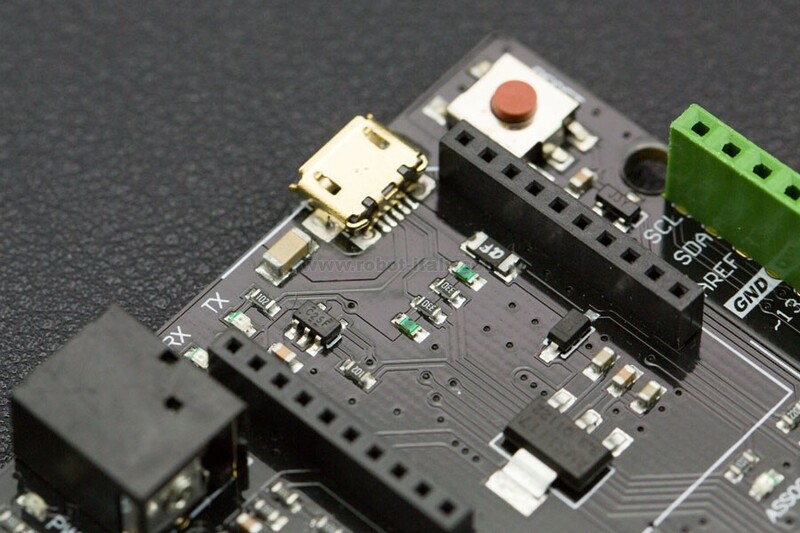 Note: Due to the different control chip, DFRduino M0 is totally different to the official Arduino M0 microcontroller. Please see the wiki for more information.